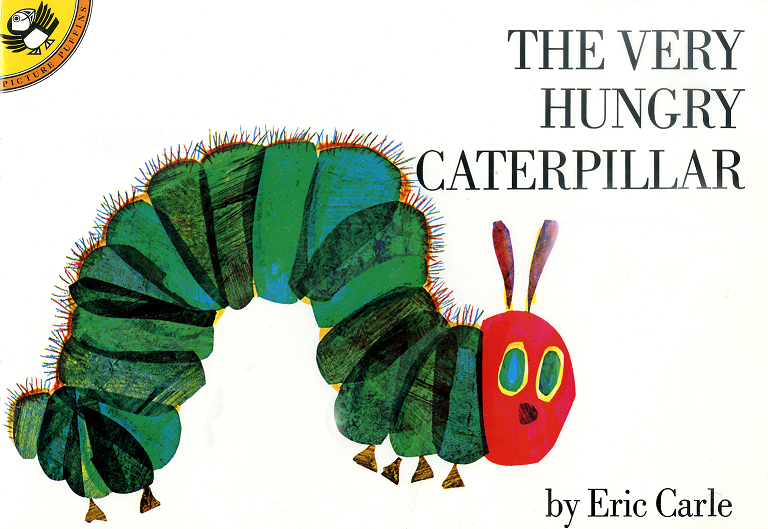 Let’s celebrate spring with the classic book, The Very Hungry Caterpillar, written and illustrated by Eric Carle. A little caterpillar emerges from a tiny egg in search of food to satisfy his ravenous appetite. After eating his way through a variety of fruit, and a whole picnic, the little caterpillar grows, and grows! The adorable illustrations and simple text in this beloved story invites readers to follow caterpillar’s journey from a tiny egg to becoming a beautiful butterfly. 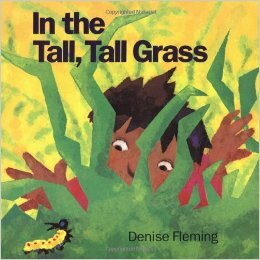 Sharing books is a great way to spark conversations with little ones! The Very Hungry Caterpillar provides the opportunity to talk about concepts such as: days of the week; counting; nutrition; and butterfly life cycle. Activity 1: In the story we discover that the caterpillar was born from an egg. Many animals lay eggs, including: birds, insects, reptiles, and fish. Dinosaurs laid eggs too! Have a conversation with your child about animals that hatch from eggs, and how the animals are different. For instance, chickens and crocodiles lay eggs. Do crocodiles have feathers, like chickens? Make popcorn! Show your child a stalk of corn, or a picture of corn from a grocery food ad. Explain to your child that popcorn comes from corn. Show your child a popcorn kernel. When it gets hot enough, the little kernel expands until it becomes popcorn. Make and melt ice cubes! If possible, let your child help you pour water into ice cube trays, or another container. Explain to your child that when the water gets cold enough in the freezer, it will turn into ice. Place ice cubes into a plastic baggie, or in a bowl. Let your child observe the ice cubes melt and change back into water. Plant a flower! Show your child what the flower seeds look like before planting them. Invite your child to participate in the planting process, and let your child help water the flower daily. How many oranges did caterpillar eat? Let’s count them…1,2,3,4,5! Caterpillar ate 5 oranges! Did he eat more oranges than strawberries? 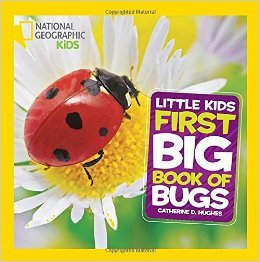 Activity 2: Explore more books about caterpillars, butterflies and other bugs! Check out the following titles at your local Pima County Public Library! Painting, drawing, and exploring various art materials are examples of creative play that encourage self-expression. Studies show that creative play is important for a child’s social emotional development. Create open-ended art with your child! Activity: Eric Carle, the creator of our favorite caterpillar, uses an art technique called collage to illustrate his books. Invite your child to create unique collages with tissue paper! Step 1: Many children enjoy the simple activity of cutting paper. Let your child use safety scissors to cut pieces of colored tissue paper, or tear the paper pieces with their hands. Both methods help your child develop eye hand coordination and fine motor control. Step 2: Encourage your child to glue the pieces of tissue paper onto a background, such as construction paper. Stray materials around the house can be repurposed for this project! Cut cardboard from cereal boxes, or paper grocery bags into pieces large enough to use as collage backgrounds. Step 3: Making decisions is an important aspect of the open-ended art process. Allow your child the creative freedom to decide the placement of the tissue paper, and experiment with layering the paper. 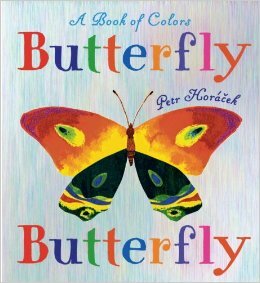 Send a video of you sharing the book together, or singing the butterfly song. Send a picture of you and your child’s creative collages, or other art inspired by The Very Hungry Caterpillar. Be creative! We can’t wait to see what you loved about The Very Hungry Caterpillar.